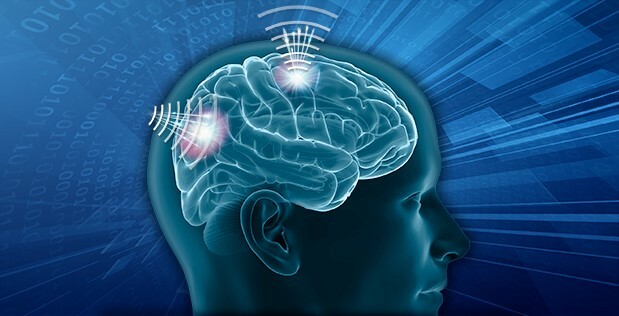 Over the past two decades, the international biomedical research community has demonstrated increasingly sophisticated ways to allow a person's brain to communicate with a device, allowing breakthroughs aimed at improving quality of life, such as access to computers and the internet, and more recently control of a prosthetic limb. DARPA has been at the forefront of this research. The state of the art in brain-system communications has employed invasive techniques that allow precise, high-quality connections to specific neurons or groups of neurons. These techniques have helped patients with brain injury and other illnesses. However, these techniques are not appropriate for able-bodied people. DARPA now seeks to achieve high levels of brain-system communications without surgery, in its new program, Next-Generation Nonsurgical Neurotechnology (N3). Noninvasive neurotechnologies such as the electroencephalogram and transcranial direct current stimulation already exist, but offer nowhere near the precision, signal resolution, and portability required for advanced applications by people working in real-world settings. Potential N3 researchers will face numerous scientific and engineering challenges to bypass those limitations, but by far the biggest obstacle will be overcoming the complex physics of scattering and weakening of signals as they pass through skin, skull, and brain tissue. “We’re asking multidisciplinary teams of researchers to construct approaches that enable precise interaction with very small areas of the brain, without sacrificing signal resolution or introducing unacceptable latency into the N3system,” Emondi said. The only technologies that will be considered in N3 must have a viable path toward eventual use in healthy human subjects. If early program deliverables overcome the physics challenges, along with the barriers of crosstalk and low signal-to-noise ratio, subsequent program goals would include developing algorithms for decoding and encoding neural signals, integrating sensing and stimulation subcomponents into a single device, evaluating the safety and efficacy of the system in animal models, and ultimately testing the technology with human volunteers. DARPA intends the four-year N3 effort to conclude with a demonstration of a bidirectional system being used in a defense-relevant task that could include human-machine interactions with unmanned aerial vehicles, active cyber defense systems, or other properly instrumented Department of Defense systems. If successful, N3 technology could ultimately find application in these and other areas that would benefit from improved human-machine interaction, such as partnering humans with computer systems to keep pace with the anticipated speed and complexity of future military missions. DARPA has invited federal regulators to participate from the beginning of the N3program, serving as aids for researchers to help them better understand regulatory perspectives as they begin to develop technologies. Later in the program, these regulators will again serve as a resource to guide strategies for submitting applications, as needed, for Investigational Device Exemptions and Investigational New Drugs. DARPA is being similarly proactive in considering the ethical, legal, and social dimensions of more ubiquitous neurotechnology and how it might affect not only military operations, but also society at large. Independent legal and ethical experts advised the agency as the N3 program was being formed, and will continue to help DARPA think through new scenarios that arise as N3technologies take shape. These individuals will also help to foster broader dialogue about how to maximize societal benefit from those new technologies. Separately, proposers to N3 must also describe mechanisms for identifying and addressing potential ethical and legal implications of their work. As the research advances, published N3 results will further facilitate broad consideration of emerging technologies. DARPA is hosting a Proposers Day on April 3, 2018, in Arlington, Virginia, to provide more information about N3. For additional information, including registration, visit: https://www.fbo.gov/spg/ODA/DARPA/CMO/DARPA-SN-18-38/listing.html. Full program details will be included in a forthcoming Broad Agency Announcement to be published to the Federal Business Opportunities website. Image caption: DARPA's Next-Generation Nonsurgical Neurotechnology program aims to develop a high-resolution, portable neural interface system capable of reading from and writing to multiple points in the brain at once. Such a noninvasive system would extend the power of advanced neurotechnology to able-bodied individuals and could support future Department of Defense efforts to improve human-machine teaming.